What offshore wind farms have in common with offshore oil & gas platforms: cables connect them. 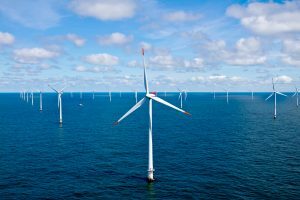 High-performance submarine power cables connect the turbines of offshore wind farms and bring the generated electricity to land as HVDC cables for grid connection. Umbilical cables provide a high-voltage supply for deep sea oil & gas projects. Undersea signal cables connect islands with the mainland, providing real-time communications. What later is hidden from sight requires detailed planning and the skilled laying of cables. In the planning phase of your specific project, we advise you on the specification of suitable cables, assess manufacturing locations with respect to your requirements and sound out the market for the necessary vessel capacity. From experience we know, for example, how cable pull-ins on wind turbines function best and the advantages of various cable protection systems. In the implementation phase, we ensure the correct quality, timely production and installation of your cable systems. Our experts offer a comprehensive service portfolio, ranging from classic manufacturing surveillance, consultancy on the deck layout of the cable vessel and the necessary installation equipment to the specific cable landfall for sea-to-land connections. We are there on board during cable-laying operations to ensure the installation is carried out properly. We also witness the hang-off of cables on wind turbines. Once deep in the seabed, to repair a faulty underwater cable is an expensive exercise. Quality inspections prior to installation largely reduce the possibility of consequential costs. We start quality surveillance with factory acceptance tests (FAT) during manufacture and continue with offshore testing. We attend all the main acceptance tests of cable installations: insulation measurement, OTDR tests, VLF tests and TDR tests. Should a cable become damaged after laying it, we support you locating the exact site of failure, retrieval of the damaged section and repair of the cable.